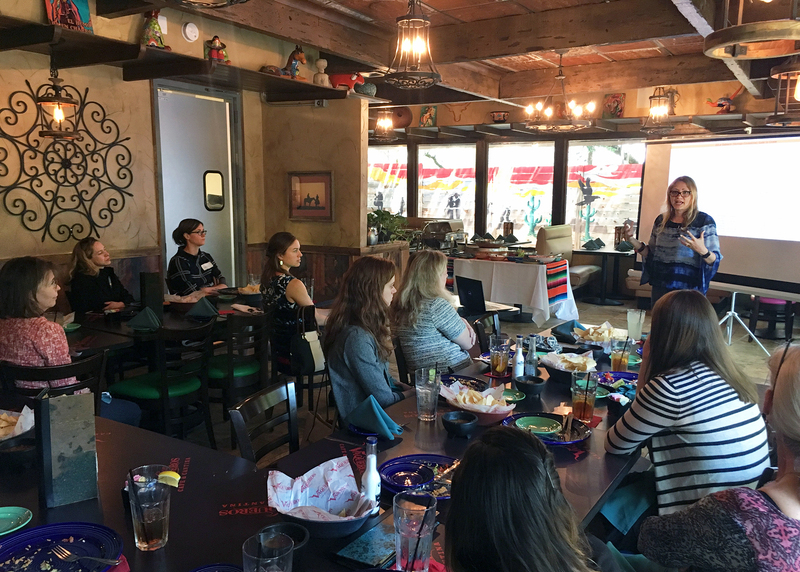 April 15, 2019: GCCC research associate Vanessa Nunez-Lopez presented at the monthly lunch meeting of the Austin Women in Oil & Gas. Roughly 20 professionals attended and networked with Vanessa to learn more about CO2 enhanced oil recovery and how operators can reduce project lifecycle emissions to zero. April 10, 2019: GCCC research scientist Katherine Romanak recorded an episode with podcast hosts of the American Shoreline Podcast. The episode will be released shortly on all major platforms. Burning fossil fuels (gas, oil, and coal) has measurably increased the carbon dioxide in the atmosphere. Although the long-term consequences of this accumulation are hotly debated, it is likely that it will have negative impacts on both the ocean and climate. One possible response is to capture carbon dioxide after combustion in industrial settings and reinject it into deep geological reservoirs where it will be retained for long periods of time. This process is called geological sequestration, or carbon capture and storage (CCS). enabling the private sector to develop an economically viable industry to sequester CO2 in the Gulf Coast area. Since 1998, GCCC has been a leader in research that facilitates a proactive response by energy-related businesses to reduce atmospheric release of CO2. GCCC has led or is in the process of conducting seven major field research projects to develop effective technologies to monitor retention of CO2 in the subsurface. In addition, GCCC has led a number of diverse projects including estimation of storage capacity, EOR screening and economic assessments, risk of leakage to water resources, assessment of pressure, and whole system integration. GCCC hosts STORE, a training and education effort. The GCCC is a multidisciplinary group that includes experts in geology, hydrology, petroleum engineering, chemistry, economics, and computer modelers. For more information about the researchers, post-docs, and students who comprise the Carbon Center, please see our staff page. For a historical look at how the GCCC has addressed the carbon question, please click here.